Nobody is pleased to hear that they’ll have to undergo a root canal, arguably one of the more difficult and painful procedures in dentistry. But if you’ve been living with the pain of a decaying or dead tooth, you’re probably ready to get back to a normal state of oral health. And removing the pulp and replacing it with a crown can put a stop to your mouth pain and prevent a serious infection, or abscess, that could lead to even bigger health concerns. If you know what to expect, a root canal doesn’t have to be a major ordeal or something to fear. So talk to your dentist about the procedure beforehand so you know what will happen during and after, and then consider taking some steps to ensure that your root canal is smooth sailing. Take time off work. Some people feel fine within a couple of days of getting a root canal while others take a little longer to heal. Your best bet if you want to avoid missing work is to plan to have your procedure on a Friday afternoon or a Saturday morning so that you can return to work on Monday. But if you think you might need more time to recuperate before you can focus on your job (especially if you work in a physically strenuous profession), think about scheduling your root canal on a Thursday or Friday morning so that you have 3 or 4 full days to get back on your feet. For most people this will be more than enough time to recover and get back to the daily routine. Get someone to drive you. Although you probably won’t be placed under general anesthesia for a root canal, you might not feel comfortable driving after you’ve had your face pumped full of Novocaine, your tooth drilled, and your mouth stuffed with cotton. While you may technically be fit to drive, it might be safer to let someone else shuttle you. Plan for pain. The level of pain you will experience after a root canal depends largely on you and your relative tolerance for pain. In some cases, Advil will be enough to manage your pain if taken regularly, and it can also help to reduce swelling following your procedure. You may also want to pick up an ice pack to hold on your face intermittently (your doctor should provide you with instructions). But if you are sensitive to pain or you’re not sure how you will react, you can ask your dentist to write you a prescription ahead of time so that you can fill it prior to your procedure. And if you tend to get anxious during dental procedures, you should also ask about getting a prescription for something to relax you during your root canal. Make an appointment to for a crown. Before you leave the dentist, you’ll have impressions taken for a crown, after which a temporary cap will be placed on your tooth to protect it. For the purpose of expediency, and so you don’t have to hang around after your procedure, see if you can schedule your next appointment before you start your root canal. Take good care of your teeth. 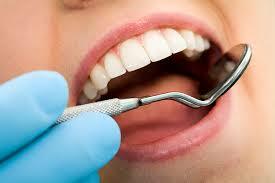 Even with proper dental care you may not be able to avoid the decay that leads to a root canal procedure. But if you want the best chance to avoid future incidents of tooth decay, brushing, flossing, and rinsing and seeing a professional at Embassy Dental or your local dental office is a great place to start. And since teeth that have gone through a root canal are more fragile, you want to make sure you take good care of them.